PARSIPPANY, NJ—Wyndham Hotels & Resorts bolstered its network of midscale offerings in the third quarter of 2018 and strengthened the presence of its La Quinta by Wyndham brand with the opening of seven hotels across the U.S. The latest La Quinta additions in South Jordan and Kanab, UT; Opelika and Tuscaloosa, AL; Aberdeen, MD; Duncanville, TX; and Columbus, MS, bring the brand’s growing U.S. footprint to nearly 900 hotels. Six of the seven are newly built destinations, signifying Wyndham’s efforts to drive hotel consistency and quality through new-construction growth, as well as indicating continued interest among hotel owners to add new La Quinta locations to their portfolios, according to the company. 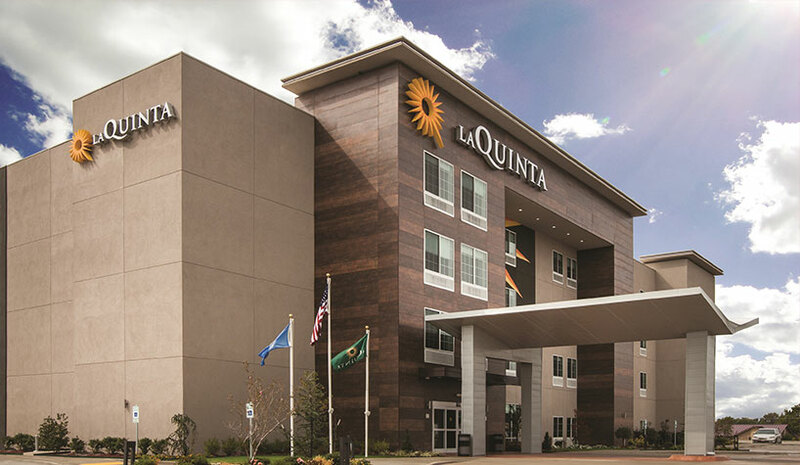 La Quinta’s roster of openings in its first full quarter since being acquired by Wyndham earlier this year demonstrates the company’s commitment to expanding its newest flag in key markets, largely through new construction. Further propelling the brand’s growth, Wyndham executed 10 La Quinta franchise agreements between July 1-Sept. 30, 2018, nine of which were new-construction deals. As of Sept. 30, 2018, 90% of the 260 hotels in the brand’s pipeline were new construction. The seventh addition, La Quinta Inn & Suites Columbus in Columbus, MS, underwent a complete renovation to transform all guestrooms and public spaces, infusing a fresh, modern look while incorporating the enhanced amenities guests have come to expect from the brand. Each of the new hotels reflects La Quinta’s guest-inspired, owner-friendly Del Sol prototype. The design combines clean geometric lines, bold colors and varying textures with brand elements and guest-centric offerings to enhance the experience while maximizing revenue-generating space for hotel developers. Thirty-five Del Sol hotels are currently under construction in the U.S., with 40 already open and operating. Like each of its more than 910 upper-midscale and midscale hotels in North and Latin America, La Quinta’s newest additions offer the brand’s signature pillow-top Bright Morning Bed, free Bright Side Breakfast and in-room work areas. Additional features include the Great Room, a social gathering space; a fitness center; free high-speed WiFi and meeting space. La Quinta’s third quarter openings pace continues a year of solid development momentum. So far in 2018, the brand has surpassed the 900-hotel mark and celebrated 19 openings—nearly 70% of which were new construction—including global debuts in Santiago, Chile, and León, Mexico. These new hotels in Latin America are located near Santiago’s international airport and in the heart of León. Wyndham’s May 2018 acquisition of La Quinta strengthened the company’s position as a midscale lodging leader with approximately 37% of branded rooms in the segment in the U.S.